How does HTC's Desire smartphone match up against Apple's iPhone 3GS? Google's much-hyped Android operating system for mobile phones is clearly making a statement in 2010 — headed by HTC's flagship Desire smartphone. The first Android smartphone available through Telstra, the HTC Desire is the best Android handset yet and a worthy challenger to the Apple iPhone 3GS. Check out our HTC Desire review. Read our iPhone 3GS review. Though every touch-screen smartphone is immediately compared to the iPhone, the HTC Desire is the most worthy adversary yet for Apple's smartphone. We can safely say it won't be an "iPhone killer" in terms of sales, but its features, design and overall user experience stack up favourably against Apple's handset. With this in mind we reveal exactly how the HTC Desire stacks up against the iPhone 3GS in key areas. The HTC Desire is slightly larger than the iPhone 3GS, mainly due to the bigger 3.7in AMOLED display; the iPhone has a 3.5in LCD screen. Despite being slightly bigger, the Desire is just as thin as the iPhone, so it doesn't feel like a burden to slip in and out of your pocket. Some may be irked by the Desire's plastic rear casing, but we think it looks good and doesn't detract from the overall build quality — keeping in mind that the iPhone's rear is also constructed of plastic. We also think the iPhone's design is starting to look a little dated: it remains sleek, stylish and well built like all Apple products, but it's in need of a facelift to keep up with the competition. The HTC Desire has plastic rear casing that covers the removable battery, but this doesn't detract from the excellent build quality. 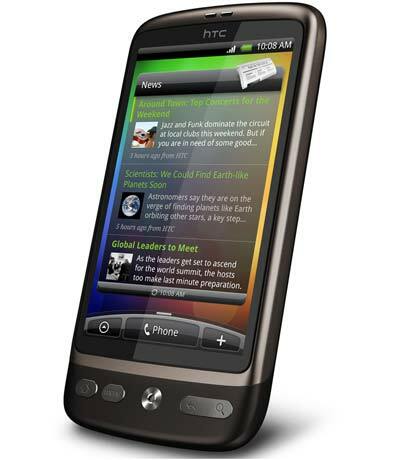 The HTC Desire has a 3.7in AMOLED touch-screen display, compared to the iPhone 3GS' 3.5in LCD touch screen. The Desire's display dwarfs the iPhone in both size and quality. The screen is amazingly crisp, bright and clear and when sitting side by side with the iPhone, it's a clear winner. However, the Desire is a little more difficult to see in direct sunlight than the iPhone. Both of these smartphones use capacitive touch screens (so a stylus isn't required) and both support multitouch technology, allowing users to pinch and squeeze the screen with two fingers to zoom. The iPhone 3GS has an oleophobic coating on the display to help make fingerprints and smudges wipe off easier. 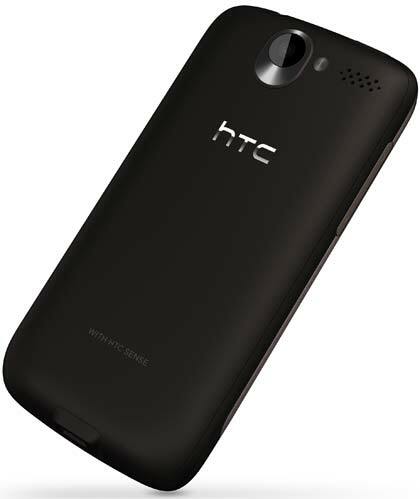 The HTC Desire's 3.7in AMOLED display dwarfs the iPhone in both size and quality. The iPhone 3GS naturally runs Apple's proprietary iPhone software. A huge part of this is the App Store, offering access to more than 150,000 mobile applications, all specifically designed for the iPhone. The iPhone OS is also lauded for its ease of use and design, and it's not hard to understand why. A great phone is just as much about its software as its hardware, and Apple has clearly found a winning formula. Competing directly with Apple's App Store is Google's Android Market. The Android Market is still only in its infancy but as of March has 30,000 apps available. To give you an idea of the potential of the Android market, Google announced in December 2009 that the Android Market had over 20,000 apps, meaning it has grown by 10,000 apps in just three months. The Android OS allows multitasking, and there is much more scope for personalisation and customisation, not only from an end user's perspective but also from a developer point of view. This is a huge advantage the Android platform holds over the iPhone. Using the iPhone feels natural; transitions between screens are superb, animations are excellent and the overall ease of use is outstanding. The iPhone 3GS also feels quite responsive — that is until you use the HTC Desire. In addition to offering a range of handy live widgets available on seven home screens, the Desire is the fastest smartphone we've used. It's powered by a 1GHz Snapdragon CPU, the fastest mobile processor available at the time of print. This makes even taxing mobile tasks — such as loading the camera application, recording video and using the Web browser with multiple windows open simultaneously — a breeze. A big benefit the HTC Desire holds over the iPhone is the HTC Sense user interface, and the Desire benefits from the latest upgrade to the custom UI. Two new features include the ability to pinch the home screen to quickly display and select one of seven screens — called Leap — and a new widget called HTC Friend Stream. The latter integrates all of your social-networking contacts, including from Facebook, Twitter and Flickr, into one organised "stream" of updates. 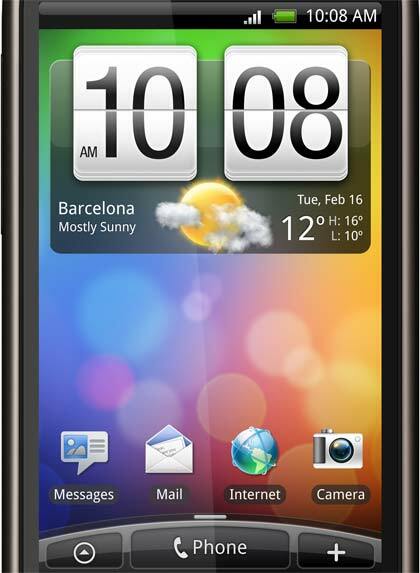 The HTC Desire has seven fully customisable home screens that house live widgets as part of HTC's Sense user interface. These include Friend Stream, Facebook, People, Footprints and calendar, and music. The iPhone's iPod integration is one of its outstanding features. Music and video playback is simple and easy, and the iPhone 3GS also includes video recording and MMS messaging, two features missing from the original iPhone. The HTC Desire has a slight edge over the iPhone with its 5-megapixel camera, but Android's music playback capabilities aren't as polished or feature-heavy as the iPhone. For example, there is no way to synchronise an iTunes playlist to the Desire out of the box and no real advanced settings beyond basic playlists, repeat and shuffle modes. The iPhone 3GS and HTC Desire have very similar specifications. Both phones are 7.2Mbps HSDPA-capable, and both have GPS, Wi-Fi and a standard 3.5mm headphone jack. The iPhone holds a slight advantage with options of 16GB or 32GB of internal memory, though there is no external storage slot. On the other hand, the Desire has just 576MB of internal memory, but a microSD card slot theoretically allows 32GB microSDHC cards to be used. The Desire has an FM radio which the iPhone lacks, though the iPhone offers TV-out with the purchase of an extra cable accessory. A feature not available on the iPhone is Scenes, part of HTC's Sense UI. A Scene is basically a configuration of the Desire's home screen: users could have a Scene for work, where they could have e-mail and calendar widgets on hand, and a Scene for home, where music, photos and weather could be the main focus. This is another example of the customisation benefits that the Android operating system holds over the iPhone.